Rain has disrupted some of our recent scheduled work parties on Wednesday mornings. 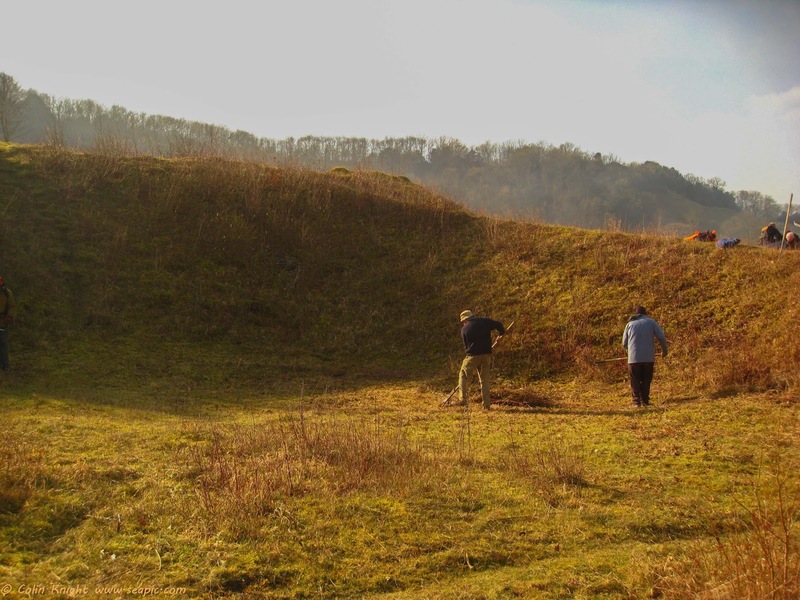 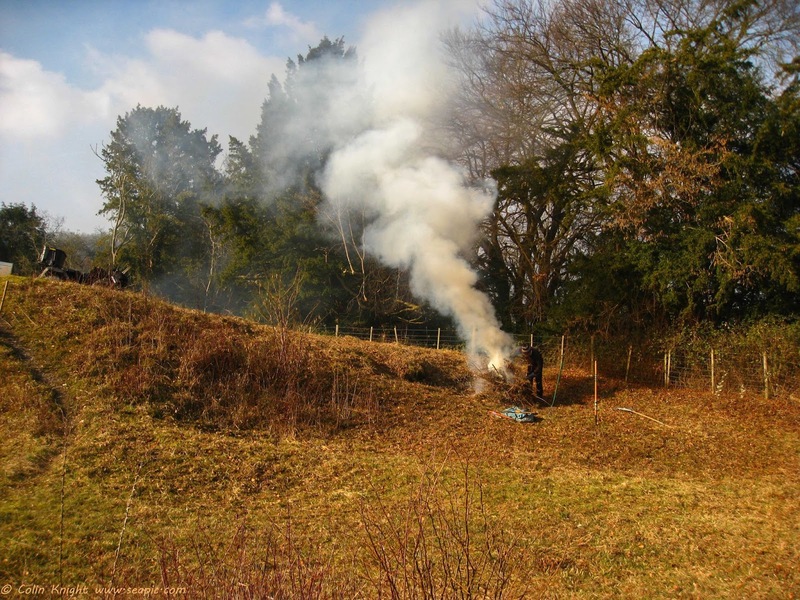 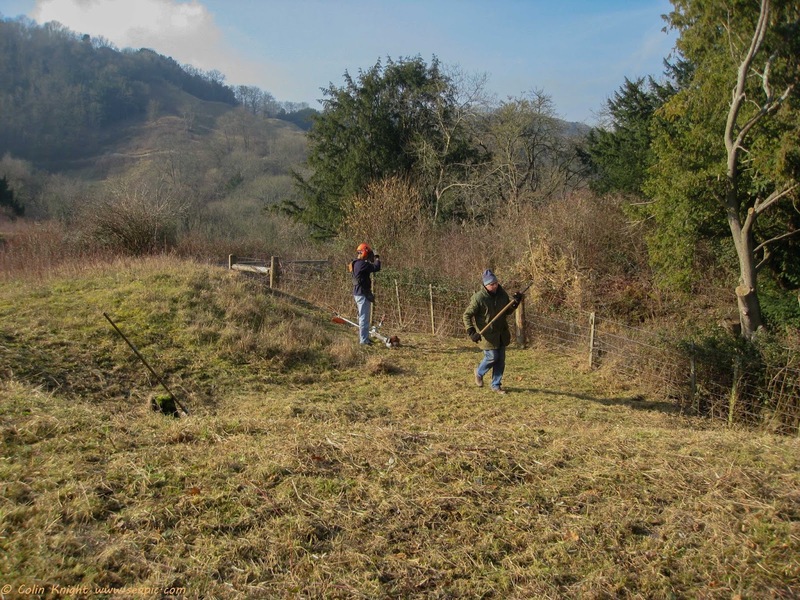 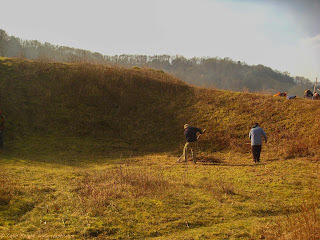 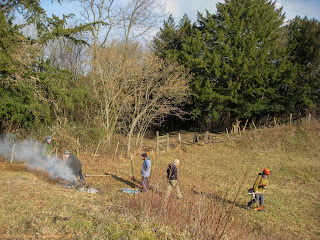 Yesterday's work party was sunny and we had a full complement of volunteers working away on Heyshott escarpment clearing scrub and preparing the way for primulas and violets to burst through in the coming months. 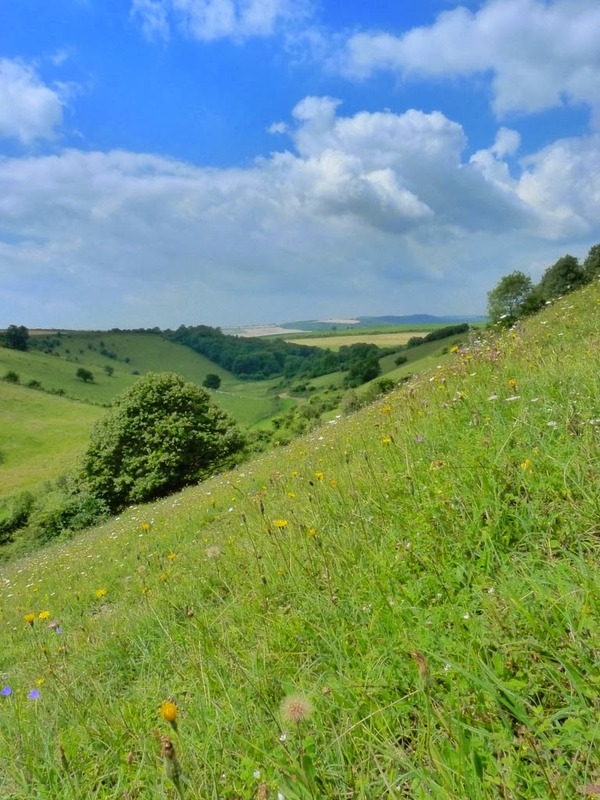 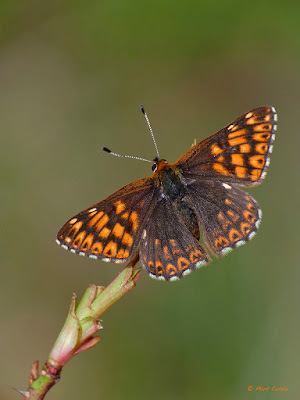 We are hopeful that the Pearl-bordered Fritillaries will appear again and share the Duke of Burgundy's success story. A buzzard soared over the hill and called while we worked.